There is a need for industrial packaging machines that are common on almost all packaging lines such as conveyor systems, while other packaging machines such as checkweighers, inductions sealers, and metal detectors are more specialized applications. Busch Machinery carries many specialty packaging equipment. 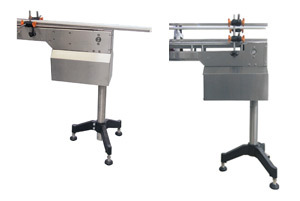 Belt conveyors are used primarily when a higher tack surface is needed to drive a product with little slippage.